NBC announced today more television viewers watched Jimmie Johnson capture the 2006 Daytona 500 then any other previous Daytona 500. 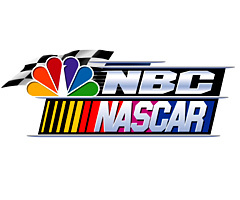 As a result, an all time NASCAR high ratings record was established for this weekends race. In a non related story, NBC is wondering if hockey is back from the labour dispute. DAYTONA BEACH, FL—Local police investigating a near-fatal Daytona Beach hit-and-run case say that the perpetrator has very likely returned to the scene of the crime every 47.72 seconds after critically injuring a visiting race fan earlier today. "We have several dozen reports of a man matching the description of our suspect, who multiple witnesses identify as a Caucasian male in his mid-30s to early 40s driving a colorfully painted late-model domestic sedan, passing by the crime scene at extremely regular intervals without stopping or slowing since striking the victim this morning," investigating officer Crocker Burnett told reporters earlier today. "Unfortunately, the incident occurred in an extremely high-traffic area, and furthermore, due to local traffic velocity, officers' attempts to pull over the large number of recurring motorists on this particular stretch of road who match the description have thus far proven fruitless." Police say the victim, who some say seemed to recognize either his assailant or his assailant's car, has not yet regained consciousness after being catapulted several hundred yards by a car that was almost certainly traveling at extralegal speeds. did) with Jimmie Johnson and the winning Daytona team Sunday nite after winning the Daytona 500. Like most drinking parties, things were said which weren't remembered the next day as shown by Hendricks admission when asked about an alleged discussion the nite before, 'It's hard to remember what all we said this morning." Hendrick said. "I learned that an old guy like me can't hang with these young ones," Hendrick said. There were no reported stories about any drivers or crew members "telling off" police officers at any time throughout the night. Check out David Pooles Full story about the celebration. 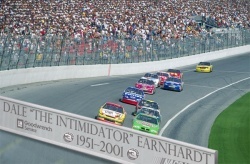 DAYTONA BEACH, FL—Daytona 500 organizers and NASCAR executives announced Tuesday that they would honor Dale Earnhardt on the fifth anniversary of his fatal Daytona crash with a new memorial "Wall of Fame," a six-foot tall, 40-yard wide monument to the seven-time champion that will be built across Turn 4 of the track and unveiled during the first lap of Sunday's season-opening Nextel Cup race. "Five years ago, we lost Dale Earnhardt, a great racer, a great champion, and a great friend, when he hit the wall here at Daytona for the last time," said NASCAR president Mike Helton said at a press conference held to announce construction of the $1.3 million Armco and cement memorial barrier. "This Sunday, the entire field of the 2006 Daytona 500 will honor his memory when, on the very first lap of the Great American Race, they run full speed toward the wall that will forever bear his name." Why are all Nascar drivers so "nice"? Even Kurt Busch wants to be liked. We haven't had a memorable challenge since "Jimmy Spenser never forgets!" 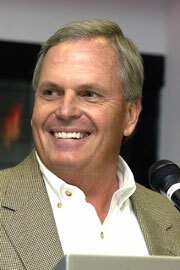 Tom Sorensen of the Charlotte Observer claims that Nascar wants the crashes and controversy: "Sure it was dangerous. But only the cars got hurt. And that edge is a major reason 200,000 fans show up at Daytona International Speedway every February and fans crowd around their television sets and spend the rest of the week blaming the other guy's driver." Kurt Busch was crashed by his replacement at Roush, while, ironically, Tony Stewart was the first person penalized for rough driving . Just a reminder, we are LIVE Blogging the Daytona 500 today. Join me on the blog and watch along and offer ur comments on who is going to win the biggest race in NASCAR. Kurt Busch to drive the Budweiser Car? In a side bet which is sure to get the corporate suits all sweaty at sponsor headquarters, Miller Brewing Company has offered up a bet to Budweiser suggesting the Miller # 2 car will finish ahead of the #8 Budweiser at this Sunday's Daytona 500. The stakes in this bet? If Dale Jr wins, he will drive a Miller Branded #8 and if Busch wins, he will drive a Budweiser branded #2. This weekend the Pit Road Post, will attempt our first television Live Blogging event of the Daytona 500. It will be the inaugural live blogging event for the Post of what we hope is the fist of many live racing events. While we will be blogging from the (un)comfort of our home and not the track, we are inviting anybody who is going to be at Daytona and is going to have a Blackberry or other mobile email device to blog along with us LIVE from race. Please contact me to get set up. If you are watching from the comfort of your home, I invite you to log into the Post and join in on the live blogging event and watch with me and offer your comments throughout the race.